All Continental fireplace products are built to the strictest quality standards and only the highest grade materials are used. The computerized production processes, pride in workmanship and serious commitment to our achieved ISO9001-2008 certification, ensure years of dependable performance. 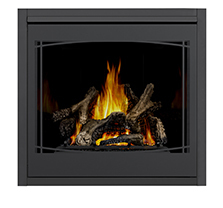 Continental’s CB46 is now the largest single view fireplace in the CB Series and is offered as a 4” x 7” top and rear vent model. Offering a multitude of options with decorative fronts, trim kits, decorative brick panels and MIRRO-FLAME™ Reflective Radiant Panels, the CB46 can be designed to your personal taste and match any home décor. An approved safety barrier comes standard on the CB46. 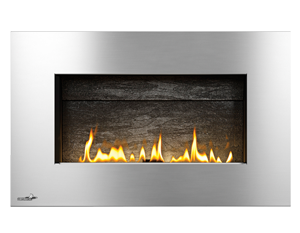 The CX70 offers you a wide range of heat output and control with a remarkable flame/heat adjustment. The PHAZERAMIC™ advanced burner technology with infrared ember bed produces stunning YELLOW DANCING FLAMES™. With a large viewing area, a realistic PHAZER™ log set that is rich in color and detail and the exclusive NIGHT LIGHT™, the CX70 is a one of a kind fireplace that you will be proud to have friends and family notice. 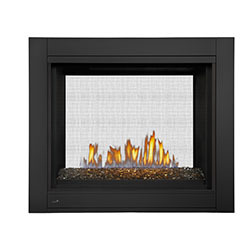 Continental’s new CBHD4 is available as a See Thru (CBHD4ST) or a three-sided (CBHD4P) Peninsula and features two different firebox/burner options, a log burner & a linear topaz glass burner. 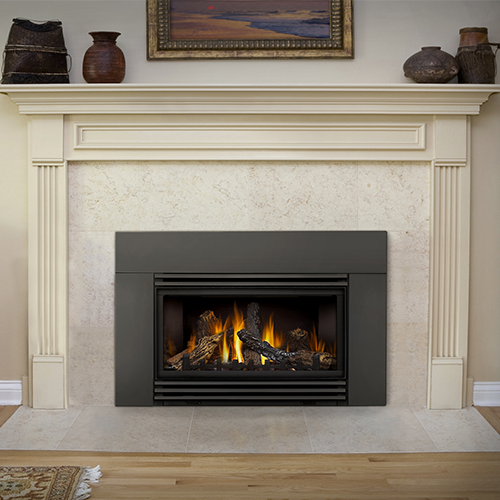 The new CBHD4 multi-view fireplaces offer up to 30,000 BTU’s, a massive 2,023 sq. in. viewing area, multiple firebox configurations and electronic ignition with battery back-up. 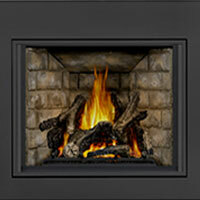 Optional Designer Fire Art and decorative panels are available to match any room in your home. A modern gas fireplace that hangs on your wall. Ideal for modern and contemporary rooms, Continental’s CWHD31 features easy installation plus all of the conveniences of a gas fireplace. Virtually endless installation possibilities, it’s almost as easy as hanging a picture on the wall. Here is the perfect blend of traditional design and advanced gas performance. 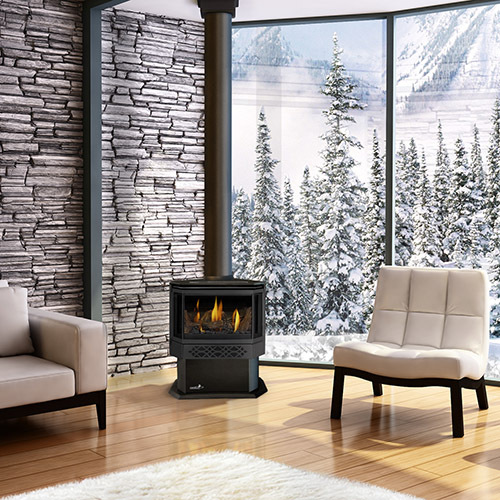 The CDVS600 allows you to express your style and capture a look of elegance while at the same time, provides a comfortable range from 21,000 BTU’s to a hearth warming 35,000 BTU’s. Direct vent converts easily from top to rear vent. The CDVS280 may be compact in stature, but not in power! If you have limited space but still desire the beauty, warmth and conveniences of a gas stove, the CDVS280 is the answer. Offering a variable heat range up to 30,000 BTU’s, you control the exact amount of heat needed. The precisely engineered burner system produces unique YELLOW DANCING FLAMES® which fill your room with a warm, inviting glow. This extraordinary small stove delivers great peace of mind. The CDVS500 offers a three burner system – the third tube burner “turbo boosts” the heating power like no other stove in the industry. It operates independently to supply an additional 14,000 BTU’s on top of the already impressive 30,000 BTU’s. Create the right amount of heat you need. 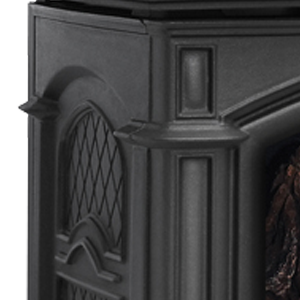 Safe, clean burning and high efficiencies make this stove a valuable addition to your home. The value that a CDI-30 gas insert adds to your home is priceless! Outstanding efficiencies, up to 24,500 BTU’s and a powerful heat circulating blower all contribute to the added benefit of eliminating drafts and heat loss in your existing fireplace. 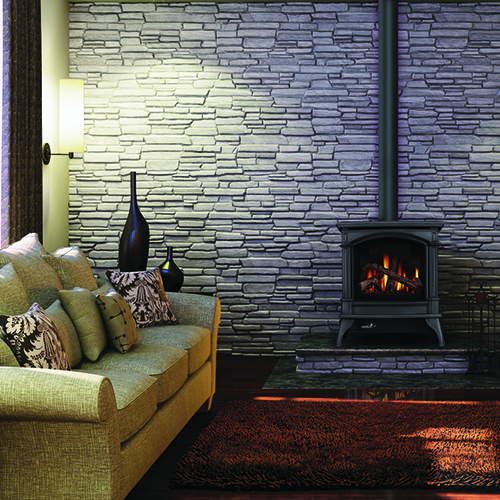 The CDI-30 installs perfectly into an inefficient wood burning masonry or pre-fabricated fireplace. Once installed, all you do is sit back and enjoy all the conveniences of direct vent gas technology! Accommodates the smallest fireplace openings but still provides an impressive 400 sq. in. viewing area! Designer options include surround and trim kits in various finishes as well as three and four-sided aluminum extrusion trim kits in painted textured satin black finish.